After consultation with our community, North West Ipswich Big Local made supporting young people a priority. So when the local council asked us to contribute towards a skatepark in our area we wanted to support it. 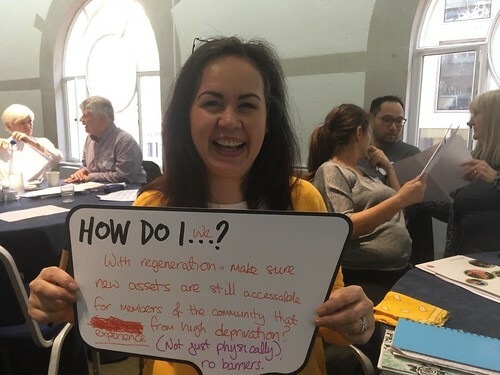 But myself and Lorraine, another member of the Big Local partnership, decided we didn’t know anything about skateparks and certainly not enough to vote in favour of contributing up to a tenth of our £1m to the project. So we started a journey of learning, visiting other Big Local areas and gathering views- even getting skaters on the skatepark project team. 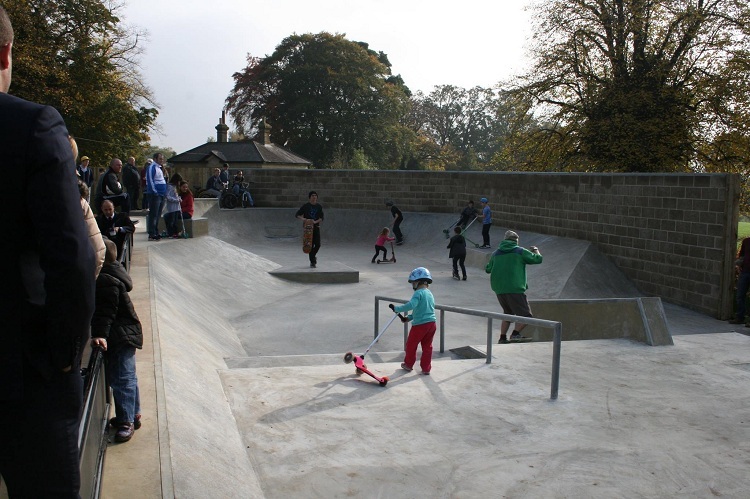 Our first decision was to go to Bury St Edmunds to view their recently built skatepark. We went armed with our clipboards to seek the views of skaters and others involved in the project. 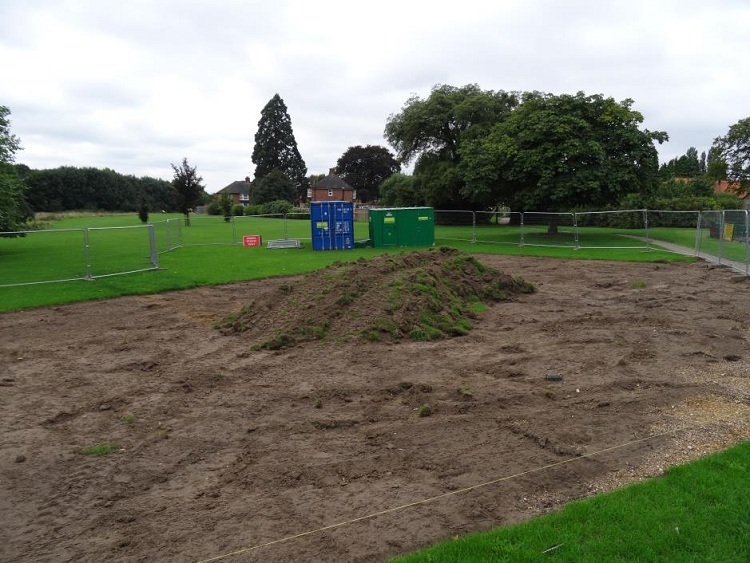 We were able to come back to our Big Local group with a host of comments from users and the group who run it, not least the cost of the Bury park. We also googled skateparks and read many reports on similar projects. Armed with that information we were able to put to our Big Local group a realistic view on what sort of skatepark we could get for the money, which persuaded a few who were at first a bit sceptical about the whole idea that it would be a good sustainable investment for our community. We signed on the dotted line to release the funding. We also pressed for Big Local to have places on the council’s project team for the skatepark. Myself, Lorraine and our Big Local chair, Ron, all joined. Our main priority at the meetings was to get the best value for the skatepark both in terms of design and cost. As far as we could see, no one on the project team had any professional experience of building a skatepark and although many were experts in their particular field, none were skaters. We also thought the initial community survey which the council had commissioned didn’t answer all our questions. So we decided to do our own survey, really just to double check we were going down the right path in spending £100K. We hit the streets and spoke to parents outside the various school gates and residents in our local shopping area. The response was almost 100% in favour with a few residents stating it would increase anti-social behaviour. We had already got an answer to that one having asked the local police and crime commissioner for his views: he backed up our research findings, which was that skateparks actually reduce anti-social behaviour. We then put out on social media that we needed some help from the local skating community and invited interested parties to a meeting to discuss (pictured right). An amazing number of experienced skaters turned up, full of ideas for the project. During the planning process there were challenges but we stuck with it and took mitigating measures for example to reduce the possible noise nuisance. Lorraine and I attended a planning committee meeting at the council and Lorraine gave an impassioned speech on the benefits the skatepark would bring to our young people by way of a healthy outdoor activity and increasing their aspirations in what is a relatively deprived area. All the councillors on the committee applauded her. The launch day was something else! It was a very emotional day for us when we saw the delight on the young people’s faces as they crowded onto the skatepark with the Mayor and our local vicar to cut the ribbon. We managed to get front page in the local press and interviews on BBC Radio Suffolk and TV. The skatepark has been in constant use since then and the whole community young and old have remarked what an outstanding success it is. Our local councillors are very proud of our input and the Big Local partnership just got invited to the Mayor’s parlour for afternoon tea in recognition of all the volunteer hours we gave to the project. Now the skatepark is built Lorraine and I are exploring, with the Ipswich Borough Council project leader, the setting up of a ‘Friends of Whitehouse Park’ group which will be constituted and able to raise funding for additional work to support and develop the park even further and add to the sustainability of the project. Working with the council was in my opinion a steep learning curve for both sides. We trawled through many spreadsheets and information provided by the experts, not afraid to question on what we didn’t understand. We stuck to our guns on issues which as residents we knew were important to our neighbourhood. I think that both sides learnt a lot and I hope that our example will mean that groups such as ours will be respected in the decision making process for their communities in future. Find out more on the North West Ipswich Big Local website. Read Local Trust's recommendations on how communities and public services can work together. See other examples of how Big Local areas have worked with local councils.